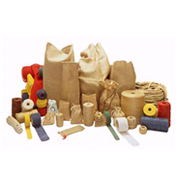 Kiron Enterprise is basically trading Company and engaged in searching relentlessly markets for any newer products at home and abroad other than only Jute and Jute Products. We are also importing Raw Silk from China and Uzbekistan for consumption in our two associated Weaving and Printing Plants – North Bengal Silk Weaving and Printing Mills and Bengal Silk Mills at Rajshahi for enriching the quality and standard of Fabric. It is worth mentioning that our products – traditional Silk Print and Embroidered Sharees and Piece Cloth – Balaka and Dopion are well accepted at home and abroad. We are the contributors of about 25% Silk. Sharees in local markets. 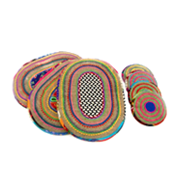 Our piece cloths are also appreciated by the American markets for interior decoration and we are exporting a substantial quantity to USA, Nepal, Myanmar and Pakistan. 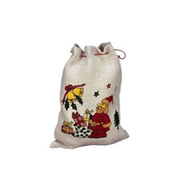 We also export Textile Products & Textile Waste.Various types of Jute Handicrafts, Design & Fancy Pottery etc. Hydrocarbon free/Vegetable oil treated Jute yarn on demand. We use the world's finest hard district Jute in our batch. We do not compromise when it comes to quality and we may most humbly claim that we are the cleanest Exporter in the world. 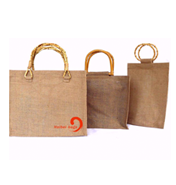 Jute is the unique agricultural product for which assumes excellence in its production in terms of higher quantity and finest quality. 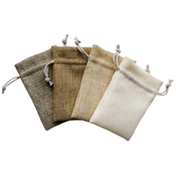 Jute is natural fibre and is known as the “Golden Fibre” for its Luster and gold-like colour. It was first found on the African coast of the Mediterranean. But the history of its first appearance or growth in the Indio-Bangla-Pak subcontinent is lost in the mist of antiquity. It is, however, understood that jute was being cultivated on the soil of Bangladesh from the very ancient times and that jute clothing was a common attire of the village folk in Bangladesh.